Their proportion among new company and battalion commanders is 4 times their part in the general population. 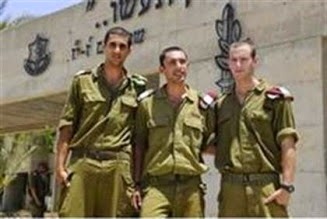 Residents of Judea and Samaria make up more than 16 percent of the new officers fresh out of the latest courses for company and battalion commanders, according to the IDF's Bamahane magazine. This proportion is four times the part that the “settlers” make up in the general population. "Residents of Judea and Samaria understand the complexity of the situation we live in, and the fact that we are still in a form of war,” one of the recent graduates – a resident of Samaria – told the magazine. "When rocks are thrown just two minutes away from your home, and soldiers are standing guard throughout our community, we have no option but to give of ourselves and contribute to security,” he added. Many of the Jews of Judea and Samaria are religious – so a high proportion of “settlers” also means a high proportion of kippah-wearers.